Q. Since you have been diagnosed with cancer, do you have anything new to add to your views on healing? 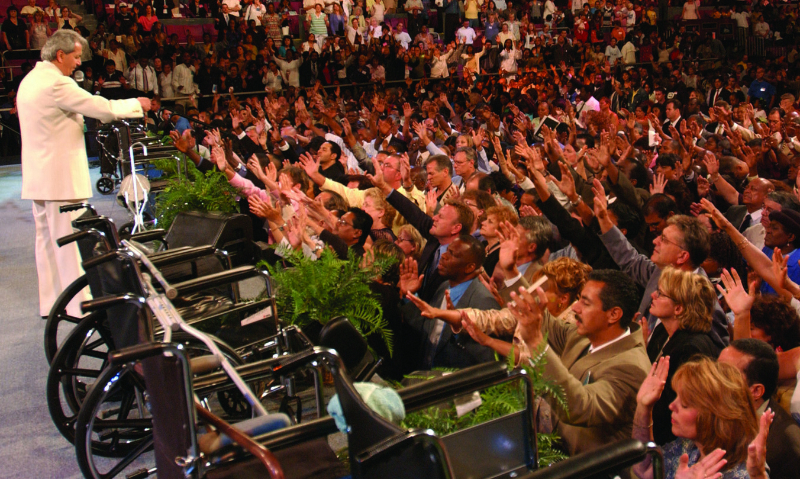 Benny Hinn, known for his “Miracle Crusades” during which he allegedly performs healings. Does God continue to heal today? If so, how? A. In 2014, I wrote an article called, “Does God Promise Healing Today?” As many of you know, in February 2018, I was diagnosed with bladder cancer and have been receiving treatment for it. Such diagnoses are where the rubber meets the road. Do I still stand by what I said four years ago? Has delving back into this topic while suffering from cancer given me any additional thoughts? Does God Promise Healing Today? Many Christians suffer from various illnesses and injuries or have loved ones who do. Understandably, they wonder whether God still heals today. As we know, the Bible is full of accounts of healings. Many of them were spectacular, and the authorities of the day investigated some of them. In John 9 and in Acts 4:16, for example, the authorities never denied that the healing had occurred, they just took the stupid position of trying to cover it up. But does God still heal today? Or, to get right down to the heart of the controversy, does God promise physical healing to believers?